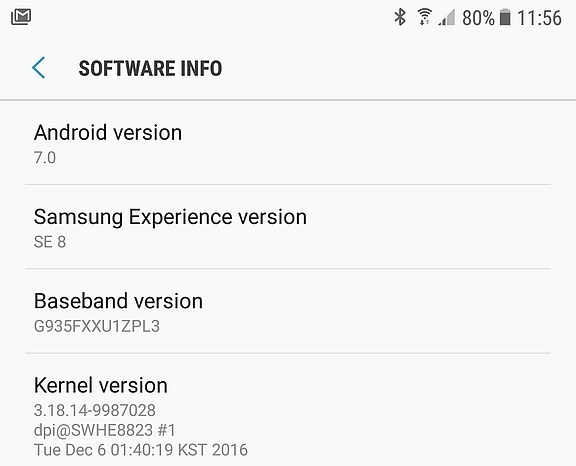 Android 7.0 Nougat beta reveals that Samsung has quietly renamed TouchWiz to Samsung Experience, so this will probably be the name of the company's custom Android interface from now on. Samsung is well known for its Galaxy lineup of devices, not to mention the recent Galaxy Note 7 scandal. However, its custom Android interface is also well known, although some love it and others hate it. Until now, this skin applied on top of a pure Android core was known as TouchWiz, but Android Nougat will arrive with Samsung Experience on top. Since Samsung did not make any official announcement yet, this will probably be just a new name and nothing more. Samsung officially dropped the TouchWiz branding back when the Galaxy S2 arrived with TouchWiz 4.0 on board. Since the Galaxy S3 arrived, its custom interface was known as Nature UX, but everyone continued to call it TouchWiz. Now, the new branding has been spotted in a beta release of Android Nougat. 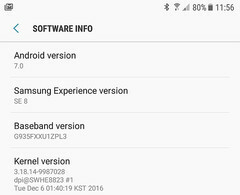 Samsung Galaxy S7/S7 Edge users who run Android 7.0 Nougat beta can spot the change in the Settings app by going to the Software Information section. There, the reference to Samsung Experience version 8 can be clearly seen. We will surely hear more about it in the future, so stay tuned.